Why PM Modi doesn’t like being questioned by the Journalists and denies interviews. Whereas Trump who clearly doesn’t like journalists end up giving interviews thrice a week. In a recent White House press conference President Trump felt uncomfortable and denied answering questions asked by Jim Acosta, a senior White House correspondent from the CNN news network. Jim Acosta and Trump’s fiery exchange “That’s enough,” Trump repeatedly told Jim Acosta as he tried to ask him questions about whether he is concerned about special counsel Robert Mueller indicting more members of his inner circle. 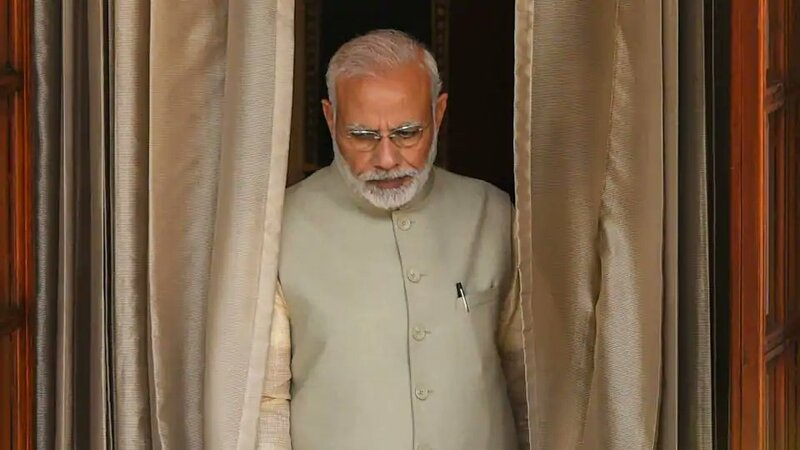 In a not so similar instance from history, Prime Minister Narendra Modi in an interview with Karan Thapar, left the interview midway when asked questions about his image following the Godhra riots. In the four years of Mr Modi’s government. He has not appeared in a press interview with him since and continues to deny interview requests to any independent media houses. A contrast can be seen clearly here. Where Trump does not like being interviewed but comes three times a week to answer a question from journalists and Modi simply denies the opportunity for an interview. Watch: Mr Narendra Modi walks out of Karan Thapar’s Interview. The famous interview of the then CM Modi with Karan Thapar. In which he left after 2-3 minutes. The institution of press and news media stands for only one thing – to hold the leaders accountable. Journalists often spend years researching on a single topic just to uncover and bring forth the truth. A free press is a pillar of democracy. Break it and comes the fall of democracy and the rise of dictatorship. Then why do world leaders like President Trump who upheld his presidential campaign’s motto as to “Make America great again” and Prime Minister Modi who promised to bring all the black money back to India and also termed himself as “Chaukidar” (a guard) escape the press? President Donald Trump has made more than 5,000 false or misleading claims since taking office. According to the list maintained by The Fact Checker of the Washington Post. Accountability, therefore, is a very important aspect of any public service Institution. I wish such a list was maintained in India for the BJP government, but sadly our news channels were busy investigating how the chip in the new two thousand rupee note is unbreakable, sigh*. A video call conference during Modi’s ” Mann ki Baat” recorded a woman who claimed that her income had increased double fold as a result of government efforts. During an Investigation, by the Masterstroke team with Prasoon Bajpai found that the woman had actually been fed the words she spoke in the original conference call. After reporting about the false claims made by Mr Modi in “successfully doubling the income of farmers” in his prime-time show, the Master Stroke former ABP News anchor Punya Prasun Bajpai had to resign due to the pressure that was built upon him by the BJP government. The news channel was boycotted by the BJP spokespersons. There has been no official comment on this by the Prime Minister. Where his party continues to boycott a handful of news channels just because they don’t support the party’s agenda and are more interested to have interviews without any restrictions. Accountability cannot be seen as the strength of Mr Modi or President Trump and as that is the only thing that true journalism stands for, conflicts are bound to happen. But, a public servant is answerable to the public. Which holds true to Trump but sadly not our Prime Minister. Where the former cannot defend his motives to the general public, Trump allows himself to be questioned and is out there to answer. In our case, the case of India, it seems more like a dictatorship than being for the people. Holding an office of power comes with its own pride. But it’s a diligent politician who knows that he is only a servant to the nation. With the power of a government office, comes the responsibility to maintain transparency and to treat all the other institutions with respect, of which we see less every day. In many instances, it has been seen that the government has successfully appointed their favourites in powerful positions. “What is happening today is the systematic capture of India’s democratic institutions – by the PM, bureaucrats and the RSS,” Rahul Gandhi said at a function in Bengaluru. CBI chief Alok Verma, his deputy Rakesh Asthana and several other officers were sent on leave in a dramatic overnight strike by the government midway of an extraordinary battle within the country’s top investigation agency. M Nageswar Rao took over as interim director just after a government order at 1.45 am, the move has been challenged by Alok Verma in court. When asked about the sudden change, Union Finance Minister Arun Jaitley said the CBI’s institutional integrity has to be maintained. Similar exploitations of powers have been seen a lot lately in the BJP government and its only natural to shut down those who question you and those who hold you accountable. It’s not just the media houses but also people like Alok Verma who are sent on leave at midnight because they were about to begin an inquiry on the Rafale deal. A misuse of power from the highest office can prove to be of great detriment to a country. A free press is something helps us maintain a fine line between a leader and a dictator. What’s to hide in a truth? Everything that we see these days boils down to this simple and logical question. What is there to hide? These small questions raise the big question marks on what we see being broadcasted on our television screens. We find ourselves able to see both perspectives – “The pictures the leaders want to project and the kind of people they really are“. We are spectators to this every day. When people are not held accountable, problems begin to take root. Therefore more than anything, we need independent journalism to thrive. People, we need to be more discerning and open to see both the perspective and choose for ourselves. The Superhero is gone |Stan Lee dies at 95 Five News Outlets You Should Follow.